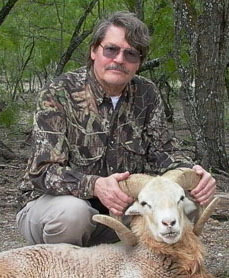 Chuck with cinnamon Texas Dall sheep trophy. Photo by Bob Fleck, Copyright 2007. Back to chuckhawks.com Home Page.